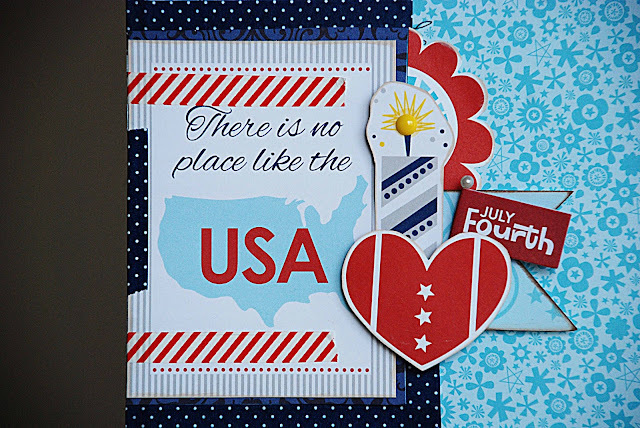 I'm excited to share a layout using the new Bella Blvd line All American. I'm so ready for summer to creating a project that is all about my favorite summer holiday was so much fun! 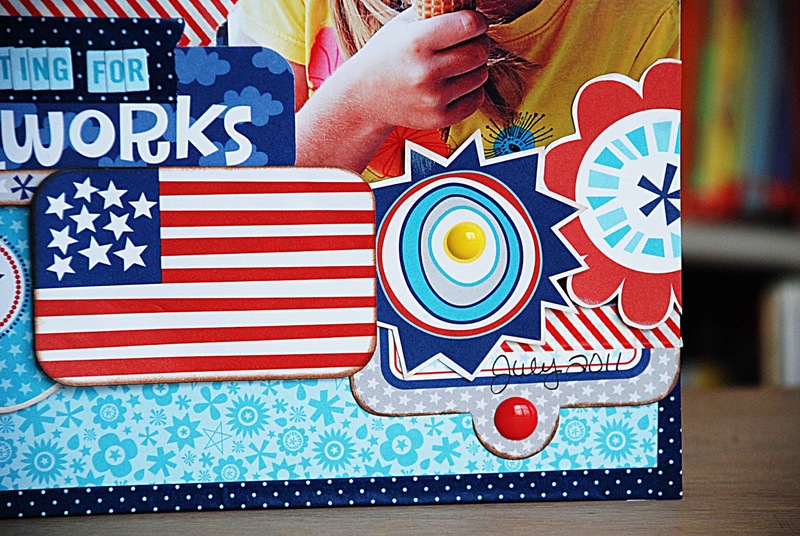 The Fourth of July is always one of the longest days for my kids. They are up early for all the fun parades, picnics, and parties. It always seems that darkness will never come. I always take tons of photos that day and a lot of them are while we're waiting for fireworks. 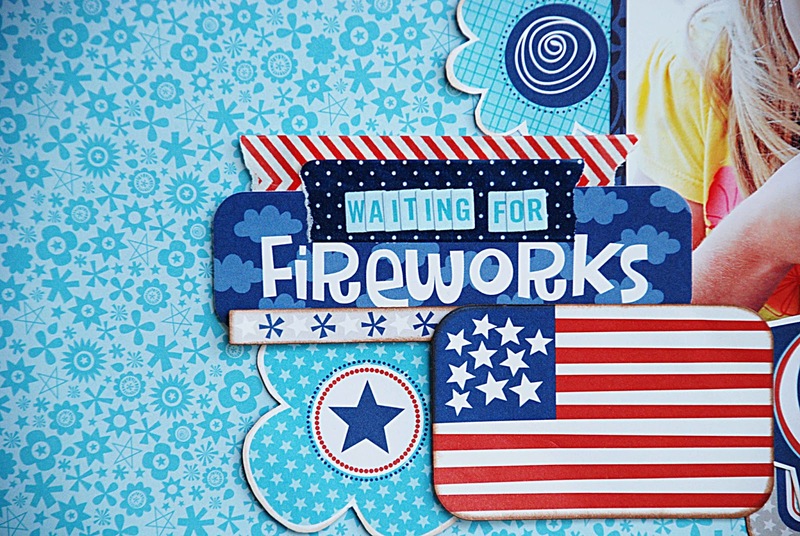 The All American collection makes those July 4th photos stand out. 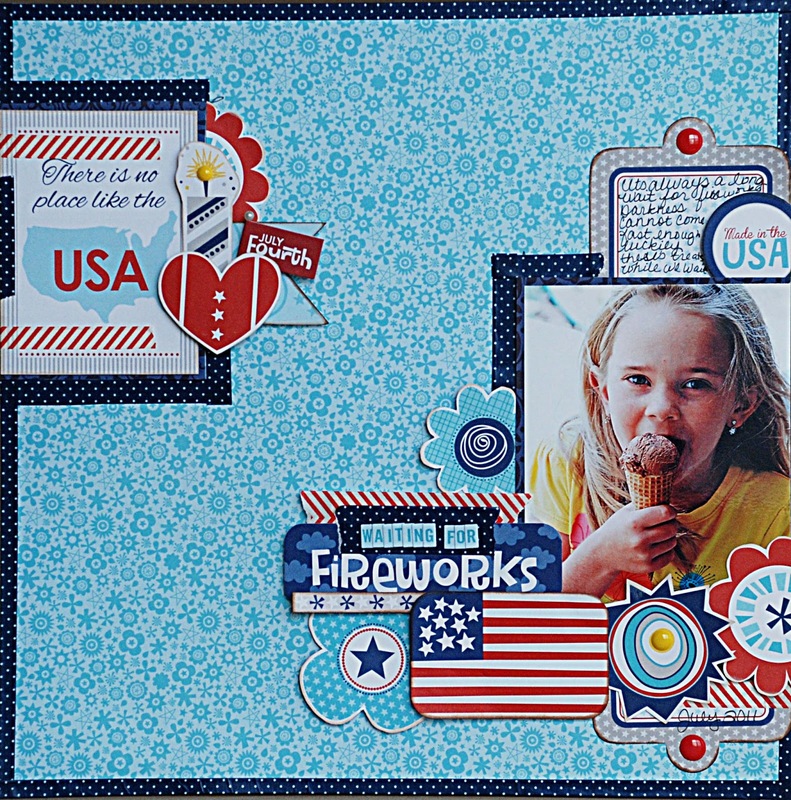 On this layout I wanted to focus on the cute cuts, stickers, and designer tapes. 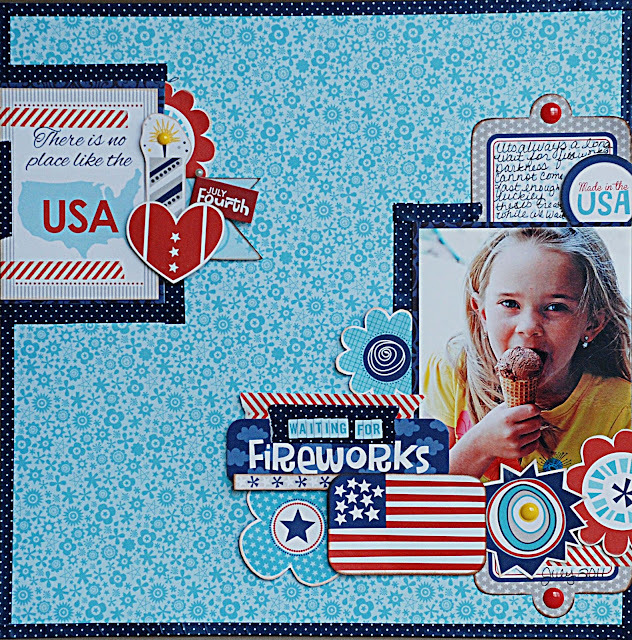 I did two large clusters of embellishments with a bit of white space in the middle to draw attention to the photo. I love the bright happy colors in this collection. This collection is sure to make any of your July 4th photos stand out!